View from one of most iconic Big Island hotels. The Big Island or Hawaii Island is an ideal place to explore the State’s most unique features and attractions. On the other hand, this can be the perfect place if you simply want to relax in a beautiful setting. 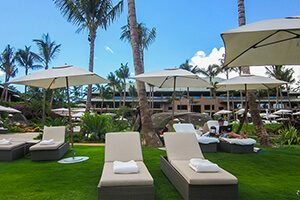 Whatever the case, we can help you select among best Big Island hotels for your upcoming travel. Big Island hotels are varied. They offer an abundance of options for high or budget-minded experiences. 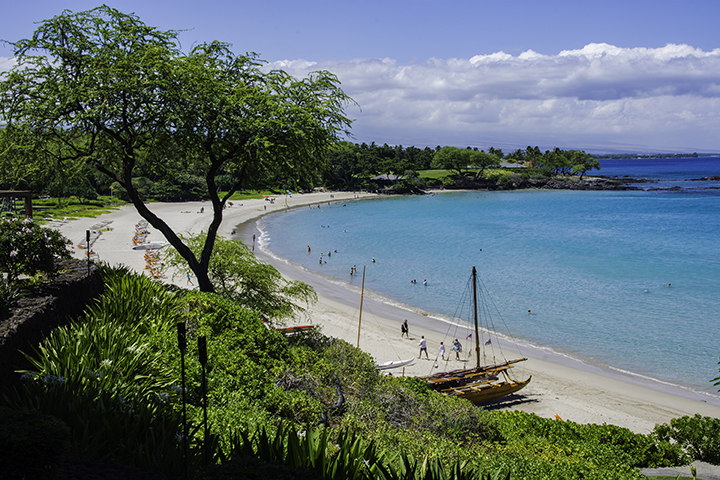 Kohala, on the west side of the island, and Kailua-Kona are areas with resorts and luxury hotels. While Hilo, the largest town on the island, has nice mid-range and budget properties for vacationing families. Also, there are cheerful condos for those wanting more of a vacation house feel. Without a doubt, this is a great way to prepare your own meals and to save money. As a result, you can spend more on adventures like Big Island helicopter tours or swim with manta rays. 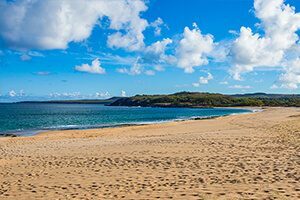 There are so many things to do on the Big Island. As an example, you can explore botanical gardens near Hilo. Find waterfalls off the beaten path along the Hamakua Coast. If you seek luxury, relax at upscale hotels in historic Kailua-Kona. Also, you can explore rugged mountain trails. Visit Kilauea the world’s most active volcano. Or even taste premium coffee at Kona Coffee Plantation. 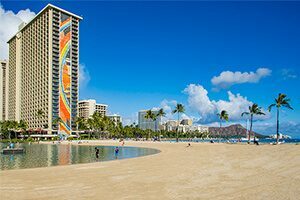 Whatever you do, you can find the perfect hotel for your Hawaii Island vacation through Panda ® Online. We offer some of best Big Island hotels online at competitive prices. Panda ® Online is the largest travel wholesaler in Hawaii. As a result, we can pass on great savings to our clients. Whenever you need a hotel on Hawaii Island, we can definitely help you on Panda ® Online. 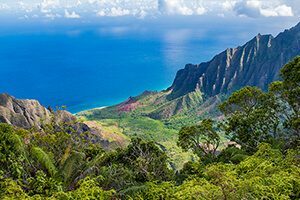 Kauai hotels, like those on other Hawaiian islands, offer a wide selection to visitors. Whether you are looking to get back to the basics or want a full service hotel, Panda ® can help arrange the most appropriate accommodations to match your desires.